Jacques d'Amboise and Adrian Danchig-Waring in conversation at the National Dance Institute. Photo Courtesy NDI. "Jerry, throughout his life, wanted a world where races, cultures and people came together without conflict and hate and anger, but lovingly, to make a community." These words were spoken earlier this week by Jacques d'Amboise at an event titled Upper West Side Story: A Celebration of Jerome Robbins, hosted by National Dance Institute, which d'Amboise founded in 1976 to provide free arts education to children in New York City and beyond. D'Amboise then reiterated his point by quietly singing the famous refrain from West Side Story, which Robbins choreographed and directed for both screen and stage: "There's a place for us." D'Amboise in the 1956 film "Carousel." Photo courtesy DM Archives. Earlier this week, the Broadway revival of Roger and Hammerstein's Carousel, choreographed by Justin Peck and featuring New York City Ballet dancers Amar Ramasar and Brittany Pollack, was nominated for 11 Tony Awards, including Best Choreography. Karin von Aroldingen and Mikhail Baryshnikov in "Prodigal Son." Photo by Costas, Courtesy Dance Magazine Archives. "My whole mission in life is to keep Balanchine's work alive," says former New York City Ballet dancer Karin von Aroldingen in Frances Mason's I Remember Balanchine, a collection of interviews by George Balanchine's friends and colleagues. Her words feel especially potent now—and never more true. On Friday, January 5, news came to light that the German-born dancer, teacher, NYCB ballet master and longtime stager for the Balanchine Trust had died at age 76. "The Bell Telephone Hour" TV program broadcasted performances of world-class music, opera and ballet to millions of Americans throughout the 1960s. Many of the dance world's biggest stars frequently appeared on the program. In a 1961 Shakespeare special, New York City Ballet principals Violette Verdy and Jacques d'Amboise danced the title characters in Romeo and Juliet by choreographer Donald Saddler. Although this version lacks some of the emotional intensity of other renditions, watching these legendary dancers perform together is a treat. Their duet is accompanied by Shakespeare's "Sonnet No. 18," bringing to mind contemporary choreographic endeavors involving spoken word in place of music. Verdy dances with an openness and grace that contrasts d'Amboise's more stoic, commanding presence. At 3:00, he sweeps Verdy off her feet and above his head in one fantastic fell swoop. Their duet is followed by an acrobatic fight scene and a stunt-filled sword fight in which both Mercutio and Tybalt are killed. When Romeo disappears after the fight, Verdy shows us Juliet's despair in a dramatic pantomime ending. Happy #ThrowbackThursday! NYCB in "Rubies." Photo by Paul Kolnik, Courtesy NYCB. "The whole thing was—I like jewels," the choreographer George Balanchine told an interviewer in the spring of 1967, when asked about his newest creation for New York City Ballet, a triptych called—what else?—Jewels. He had his photograph taken while gazing appreciatively at Van Cleef & Arpels designs, or surrounded by ballerinas wearing bejeweled headpieces and gem-toned costumes by Karinska. Balanchine had an instinct for promotion; the ballet was a huge success and is still regularly performed by NYCB and other companies around the world. At the Lincoln Center Festival this summer (July 20–23), 50 years after the first performance, three companies—the Paris Opéra Ballet, NYCB and the Bolshoi Ballet—will join together to perform it in a single night. The French will dance "Emeralds." On different nights, the Russians and the Americans will alternate in "Rubies" and "Diamonds." This seems appropriate, as each of Jewels' sections alludes to a different style of ballet: French, American, Russian. Ballet was born in France. More importantly, France is where Romantic ballet, with its feather-light technique and delicate, wafting arms, was refined. (Think La Sylphide and Giselle.) The next chapter of its development took place in Russia, where ballet acquired its grandeur, thanks to the imagination of Marius Petipa and the splendor of the Imperial Theatres. After the Russian Revolution of 1917, this world disappeared. Balanchine, along with many others, left the country, bringing his ideas about ballet to Europe and later to America, or, more precisely, to New York City. Summer is here! Whether you're hanging out under a beach umbrella or passing the time between rehearsals, it'll be more fun with a book in hand. Check out these ballet page-turners—all written by dancers themselves. This novel follows devoted Manhattan Ballet Company corps member Hannah Ward as she navigates company life. For the most part, things are going smooth, until she meets a college-student musician, Jacob. When sparks fly, Hannah’s life gets shaken up a bit. Although fictional, the novel lends tons of insight to the life of a professional dancer—its author, Sophie Flack, danced with the New York City Ballet for nine years! As Balanchine’s protégé, d’Amboise certainly has a compelling story. 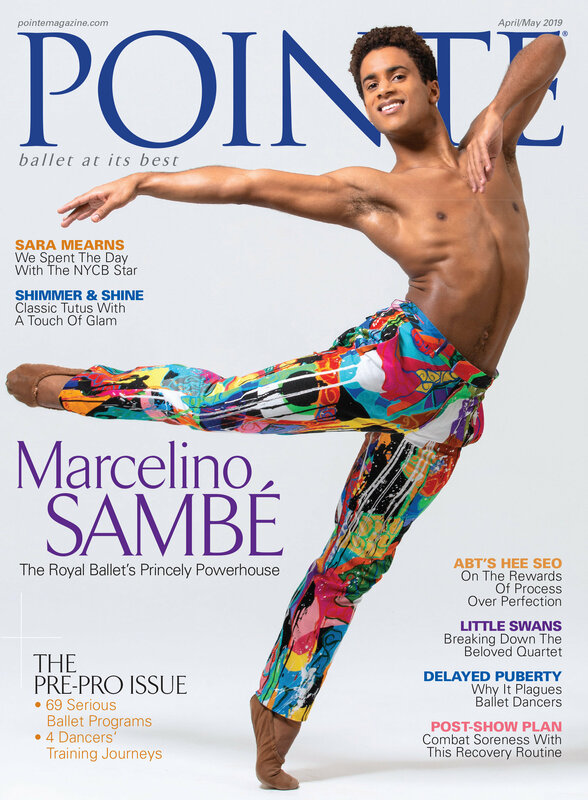 He begins by recounting his childhood in Washington Heights and training that the School of American Ballet. We hear about his experiences dancing with Balanchine’s famous muses, as well as the life and death of Balanchine himself. This autobiography by English National Ballet’s Daria Klimentova offers an easy-to-read look into the life of the Czech born ballerina. Klimentova begins her story by talking about her upbringing under Soviet rule, and continues right on up to her legendary partnership with Vadim Muntagirov.